The IKA C 1 static jacket oxygen bomb calorimeter offers a high degree of automation and features the smallest calorimeter footprint available. This calorimeter operates according to DIN 51900 and ISO 1928 standards. The temperature readings are examined in accordance with the traditional isoperibol method of Regnault Pfaundler. 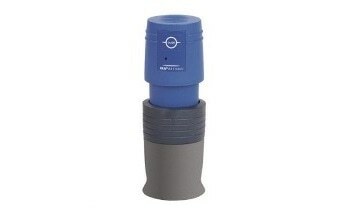 The combustion chamber is attachable, lightweight, and enables an easy measurement preparation. Thanks to various different interfaces (PC, printer, balance), the IKA calorimeter is easily adaptable according to the specific application requirements of customers. 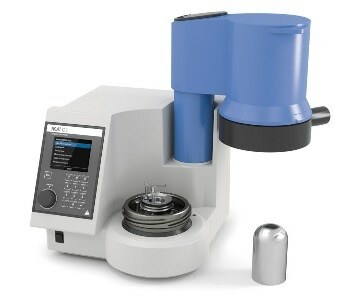 The IKA calorimeter software C 6040 Calwin (Accessory) enables additional adaption to LIMS and data management. The scope of delivery includes all the components required to set up the unit. It also includes consumables and wear parts for the first approximately 500 experiments including 25 calibrations. The halogen-resistant, catalytic-activated C 1.12 combustion chamber is particularly developed for the combustion of samples that contain halogens and sulfur (> 3 %). The chamber is also fitted with the C 6 large quartz crucible and C 5010.5 large crucible holder.